I have a set of scales under the bed, out of sight! It tells me what I don't want to know--I need to make the numbers smaller than they read when I step on it. I am better motivated to keep the scales in view when I try on clothes that fit properly not so long ago but now don't button or zip. Actually, the scales are not the only measurement of my general overall health. I have to be diligent in my diet and keep it balanced to achieve good numbers when my doctor wants to run some blood work and keep my blood pressure leveled at a healthy number. What has that got to do with my spiritual health? Nothing, except a similarity of measurements. A familiar saying is that "we are what we eat." That is especially true in our Christian life. What we feed our spirit controls what we place as top priority in our lives. The Psalmist wrote, "O taste and see the LORD is good: blessed is the man that trusteth in him" (Psalm 34:8). When we "taste" we develop a "taste for." We develop a hunger for. "How sweet are they words unto my taste! yea, sweeter than honey to my mouth!" (Psalm 119:103). That spiritual diet will create healthy attitudes and actions. But that doesn't make us have good numbers on the spiritual scales. When we try to judge ourselves by ourselves, our attitudes, good deeds and actions, we will either come up short or become self-righteous. We may examine how we treat others, how charitable we are and how others see us and decide we are pretty righteous. "For we dare not make ourselves of the number, or compare ourselves with some that commend themselves, but they measuring themselves by themselves, and comparing themselves among themselves, ARE NOT WISE [emphasis mine]" 2 Corinthians 10:12. We can carry our set of scales around which show good numbers and feel good about what they display. We can see our "goodness" and begin to think that God must be pleased with all our good works. Good works ARE important to the Christian, but they are not measurement of a right relationship with God. The only thing that makes us "good" in God's eyes is when He sees Jesus in our lives. The only way God can see Jesus in us is by Grace--the undeserved favor that He dispenses to us. There is no other source of Grace. We can get on our moral scales and see good numbers and declare we are "healthy." We can check our spiritual diet that we set for ourselves and measure our waistline and feel confident that we are looking better in the mirror, but that would be deceptive if we don't see Jesus when we look at ourselves, if we don't see Grace instead of all our efforts to achieve God's favor. The amazing thing is that God loves our flabby selves that we abhor; He loves us when we feel disgust at the mirror image of ourselves. That Love brings Grace to our lives and puts us in a position of right-standing based on what Jesus did for us in spite of our myriad attempts to fix things. The scales may look good to us, the diet might soothe our consciences and give us false security; but they will never measure up in God's eyes. That’s not to say God doesn’t want us to be good stewards of our health, but what God looks for when He "measures" us is His Grace. Grace that operates only through the Cross of Jesus, no other route. The unconditional Love God shows us is operational VIA what Jesus did at Calvary only! We can never do enough to rise above the Cross. Our efforts will fail when measured by the actions of Jesus Christ. As much as we love bunnies that lay eggs and other holiday trivia, the celebration is to remind us that Jesus died on that cruel cross for our sins—not His—and arose from the dead to guarantee that we too shall live, with Him, for eternity! Rev. Gary Wilkerson wrote in his "Pulpit Series" message Grace Rules, "...the new life you have isn't the result of attaining but of receiving..." That's it! We "receive" Grace; we do not—cannot—earn (attain) it. We are the recipients of Grace because of God's Love in spite of the fact that we don't—can't—measure up. It is the measure of Christ that makes us worthy that God sees, not our self-righteousness. Works, our efforts, follow Grace; they don't produce it; they don't move God to declare us worthy; they don't even count toward our righteousness! We will certainly be rewarded for any efforts we make for the Kingdom of God, but that will not bring salvation nor precede it. As the song says, "Nothing but the blood" will make us acceptable to God. So may we have good numbers on the scales, look fabulous in the mirror because of Grace, not what we have done! It's not admirable nor healthy to look down on ourselves. We were sinners, God's Grace saved us and keeps us. We can hold our heads high; we are kids of the King of King / Lord of Lords. 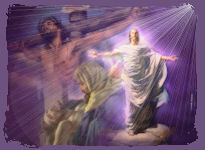 We got there by way of the Cross of Jesus, and we give Him glory for any good numbers or images we have. The day will come when He will acknowledge everything we did FOR HIM. That will be our legacy! 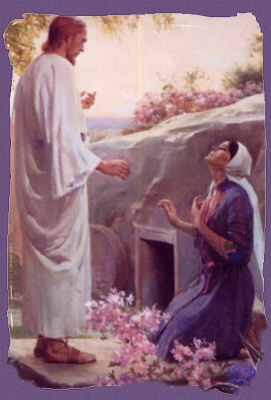 Look toward the “empty” cross and tomb; they held our Savior but couldn’t keep Him. 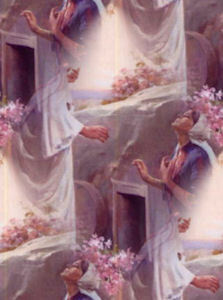 He’s alive forevermore and made the way for our eternal life—with Him! Let us measure up! Let us look up! Soon we will go up! The Cross and the Tomb are Empty ! If a friend shared this page with you and you would like to be on my mailing list, there is a sign-up on the Home Page.